Follow a new path with a career in truck driving. Start your new life behind the wheel today! At Western Pacific Truck School of Oregon, we’re the premiere local truck driving school Portland and surrounding area residents rely on. We recognize that persons who decide to attend a trade and technical school are making career choices that may affect them for the rest of their lives. We’re passionate about the industry, and we want that passion to extend to our students as well. That’s why we believe it is important to let prospective students know that truck driving – as with any other career – has its pros and cons. The trucking industry is experiencing a driver shortage that’s expected to become even more critical during the 2000’s. Experienced drivers can earn a good salary. 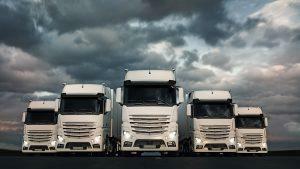 There is a high demand for professional truck drivers who qualify under the Commercial Driver’s License program. On the other hand, truck driving may not be the career of choice for someone who doesn’t want to be away from home for long periods of time or who just prefers more structured work hours. The truck driving school Portland runs on could be the perfect choice for you. You’ve already taken the first step. We’ve got the information you’ll need to help decide if truck driving school is what you’ve been waiting for. On this website, we make available to you information that will be helpful in deciding whether trucking could be the career you’ve been looking for. You will find information on a wide range of processes including the involvement CDL training requires and what you can expect from a truck driving position upon program completion. Still interested? We would love to discuss how trucking can change the course of your professional career! 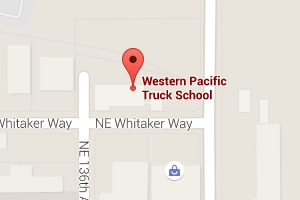 Contact us today by calling (888) 565-0203 for more information from Western Pacific Truck School of Oregon.